The Band-It has 3 columns of 13 pegs, for a total of 39 pegs. The columns are held together with 3 base units and the loom can be combined with additional looms either side by side or end to end.. 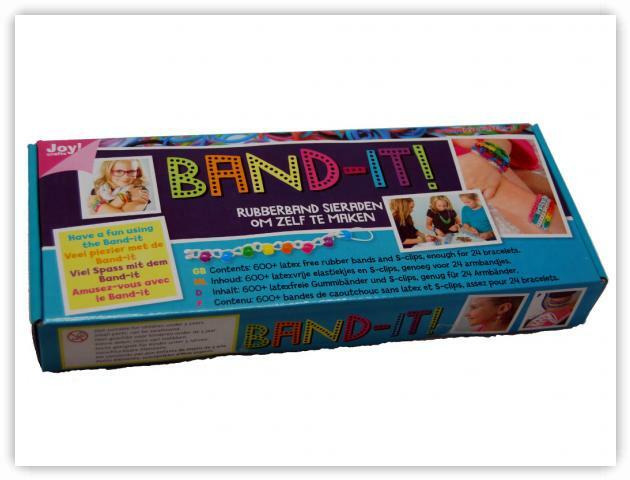 The kit comes with the loom, a mini loom, the loom hook, 40 "S" Clips, and 600 elastic bands. The kit is available in the Netherlands.